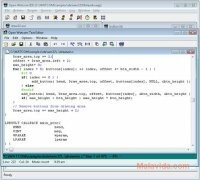 There are many different programing environments for C and C++, but few of those that are available offer the clear possibility to develop programs for so many different systems as Open Watcom. With Open Watcom you will be able to develop and debug programs for 16-bit and 32-bit DOS, extended DOS, Novell NLMs, OS/2 16-bit, OS/2 32-bit, Windows 3.x, Windows 95/98/Me, Win32s, and Windows NT/2000/XP (Win32). As well as all the tools included within Open Watcom's integrated development environment (IDE), it also includes the possibility to be able to program directly from the command line terminal. Another of the facts worth highlighting of Open Watcom is the amount of help files that it includes, something that can come in very handy for anyone that is just starting to program in C or C++. 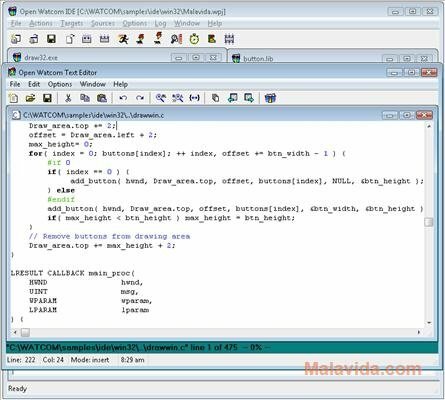 Therefore, if you are looking for a development environment for C and C++, download and install Open Watcom, it is free.